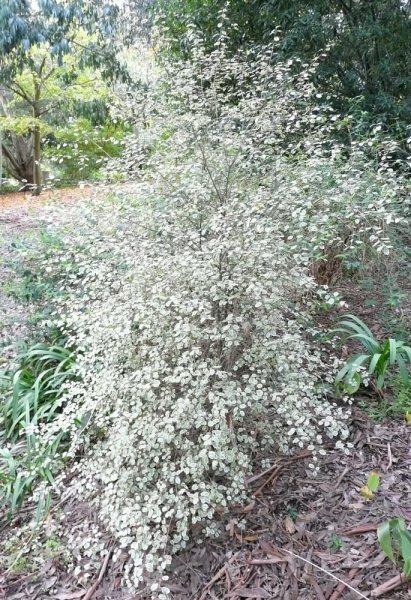 Tawhiwhi 'Silver Magic', kohuhu 'Silver Magic', kohukohu 'Silver Magic', parchment bark 'Silver Magic' and pittosporum 'Silver Magic'. Columnar shrub becoming more rounded with age. Year round foliage interest and small flowers in late spring to early summer. Happy in any soil conditions, except heavy clay soil, and any pH. It prefers the soil to be fertile (nutrient-rich). Likes a sheltered spot where it is protected from cold, drying winds. Will tolerate coastal conditions. Plant in full sun to get the best leaf colour. 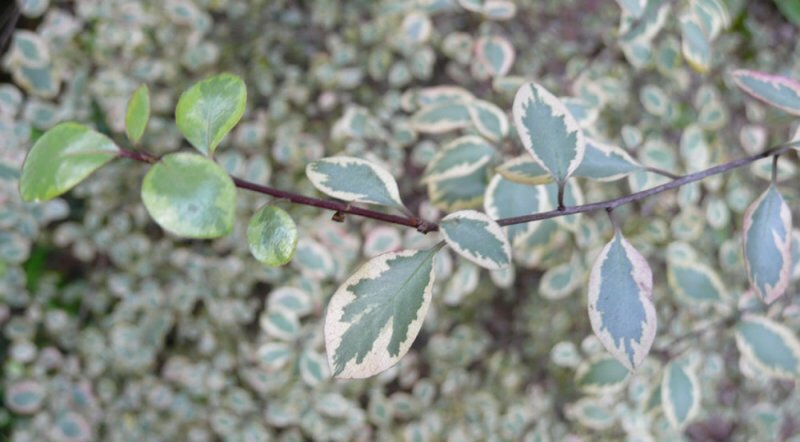 The main feature of this shrub is its evergreen foliage which is silvery-green with cream margins which gradually pinken. Five petalled, purple flowers appear in late spring and are slightly fragranced, the scent being most noticeable at night. The stems are very dark, almost black. Makes a good wall shrub for a south or west facing spot where it will be well sheltered; it could also be used at the back of borders in similar conditions. Makes good hedging or screening as it can be trimmed regularly. The stems last well in water so it is often used in flower arranging. While hardy in most conditions, it will benefit from shelter and protection from cold winds and hard frosts, particularly in colder climates. Requires minimal pruning in mid-spring when the new season’s growth has started. Growth should be trimmed back or thinned only if necessary. If the plant has become too untidy or is neglected it can be hard pruned in mid-spring. If you are growing it as a hedge you can trim it back both in mid-spring and in midsummer. Seeds can be collected in late winter when the capsules split open. Wash the sticky seeds in soapy water and sow them at 15°C. Semi-ripe cuttings can be taken in autumn from the current season’s growth. Put a 2cm layer of sharp sand on top of your cutting compost, before inserting the cuttings, to help prevent them rotting at the base. Keep the cuttings at 12-20°C and they should be rooted within 12 weeks. If the leaves drop during rooting then you will need to start again. Air layering or simple layering can be used, which is best done in early spring. Pittosporum plants can also be grafted, and P. tenuifolim is often used as the rootstock. Use a whip graft or spliced side graft in late winter, keeping it under plastic film, and it should be heeled in six weeks, at which time you can harden off the plant and cut back the rootstock (if appropriate). 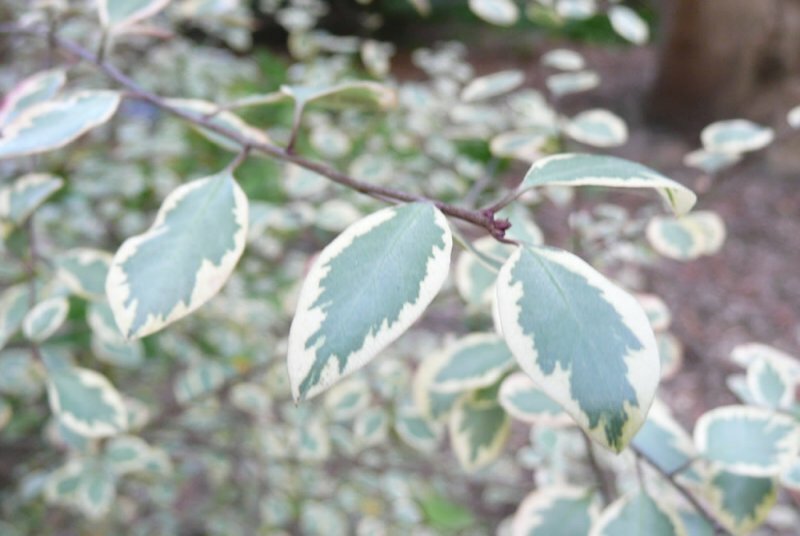 Pittosporum tenuifolium is susceptible to leaf spot and powdery mildew infections. It may also suffer from infestations of pittosporum sucker, aphids or cushion scale. If grown indoors the two-spotted spider mite can be a problem. Very cold temperatures and frost can damage, or even kill, the plant. ‘Kohuhu’ or ‘Kohukohu’ are the Maori names for this New Zealand native plant.